The final countdown to the 64th edition of the Eurovision Song Contest is less than a month away from the contest in Tel Aviv, the first promo event of this Eurovision season will be taking place tonight . 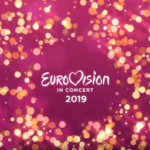 The 11th Eurovision In Concert is set to take place in Amsterdam tonight as a total of 28 Eurovision 2019 contestants from Europe and Australia, will be taking the stage to perform their entries. This year Eurovision in Concert returns to AFAS Live, after last year’s 1oth anniversary which led the event to a larger arena. 28 Eurovision 2019 acts will be taking the stage in order to present live their entries and leave the best impressions to the fans. The event is scheduled to start at 20:00 CET. Host of the show will be the Dutch Eurovision commentator Cornald Maas alongsinde with Marlayne, the Dutch representative in Eurovision 1999. 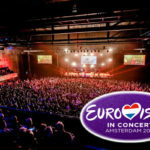 Eurovision in Concert is one of the most popular and bigger Eurovision promo events that takes place every year in Amsterdam some days before the Eurovision Song Contest. The show was launched by a grouo of local fans and has developed in one of the major music events through which fans can preview the ESC entries live on stage before the Eurovision event. Last year the event had its 10th anniversary while in 2017 it saw a breaking record of 35 out of 42 Eurovision acts take part. 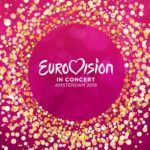 Eurovision In Concert 2018: Watch the live performances of 32 ESC 2018 contestants.